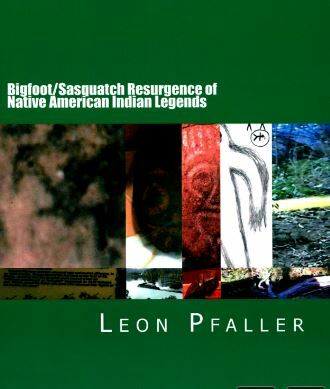 Check out “Bigfoot/Sasquatch Resurgence of Native American Indian Legends.” A 212-page, 8.5 x 11 inch, Textbook-Sized Book that’s absolutely Filled with Bigfoot/Sasquatch-History; that had actually been Documented By Various Explorers in North America From 1603 to Present. This book is an adventure- in that these old stories also seem to profile and detail descriptions of certain behaviors attributed to what might still be considered to be Bigfoot/Sasquatch, but by several different tribal-names. These stories are from tribes all-over the US and Canada (North, South, East, and West), including some of our own local tribes- Right here in our own backyard! [These stories are cited and sourced from old books and other literary sources, the oldest dating back to 1603.] This book is comprised of Historic-Evaluations from Over-100 tribes!